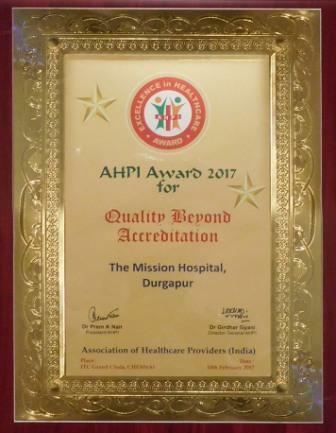 Durgapur, 13th Feb 2017: The Mission Hospital, Durgapur, a tertiary care hospital in Durgapur providing affordable quality health care to patients has bagged the award of' 'Quality beyond Accreditation' at the Global Conclave of Association of Health Care Providers of India (AHPI) held at Chennai recently. The Mission Hospital, Durgapur is the only hospital in West Bengal to have been awarded in this category by AHPI this year. The hospital has always been at the fore of all Quality Initiatives and is the only NABH Accredited hospital beyond Kolkata in West Bengal. The Top Management and founders have always been focused on Quality and it has yet again been testified this year. Dr. Satyajit Bose, Chairman was present along with the team comprising of Mr. Debrishi Chatterjee, Head-Quality & Ms. Sunanda Bhattacharya, Member-Quality Team to collect the award during the Award Ceremony held at ITC Grand Chola, Chennai on the 10th of February. The award is a great effort of the Quality Team which has worked day & night with synergistic efforts from all other departments. The Mission Hospital has a dynamic Quality team with members from leading institutions in Health & Hospital Management. The present team comprises of Abhijit A. Kumar, Ritika Batra, Sunanda Bhattacharya and Melvin J.Baxla lead by Debrishi Chatterjee, who have all been instrumental for such a glorious achievement. The AHPI award technical committee scrutinized and made detailed assessment in respect of key indicators to monitor the clinical and managerial structures, processes and outcomes which are used as tools for continual improvement. Further, the committee looked into clinical audits that are conducted by all specialties on periodic basis to monitor and improve quality of nursing and complete patient care as per the registry provided by the accreditation agency. 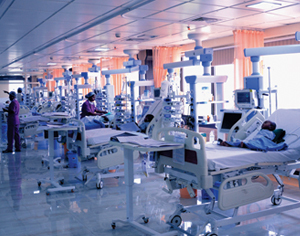 It noted the use of ICT for leveraging in improvement and sustaining delivery of quality care (such as quality dash boards, alerts and alarms) and the data analytics/statistical and management tools, such as 7-QC tools,5-S, FMEA,LEAN Health, Six Sigma, to improve and sustain delivery of quality care. The committee also appreciated the patient centric approach of the hospital management and it went through the patient satisfaction reports that are measured using objective means, analyzed statistically and fed back in to system with demonstrable improvement. The committee members also assessed the hospital's initiatives to foster quality culture such as, team building, effective communication and other good HRM practices since such actions can serve as a benchmark to other organizations in that area of services. 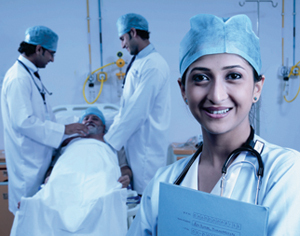 Association of Healthcare Providers (India) represents the majority of healthcare providers in India. It works as "not for profit" organization and advocates with the Government, Regulatory bodies and other stake holders on issues, which have bearing on enabling its member organizations to deliver appropriate healthcare services to the community at large. The AHPI Award Technical Committee scrutinized the applications along with the presentation submitted by the hospital. The award was won post a detailed facility assessment and inspection of the hospital processes by the representatives of AHPI. A large number of hospitals across India competed for various categories of awards.